Meringue Topped Brownies is a quick and easy recipe that adds a special touch to a box of brownie mix. A meringue is a foam of egg whites and sugar that bakes to a crunchy topping in this fabulous recipe. The meringue looks like snow and it not only adds more interest to plain brownies, it helps seal in the moisture so the brownies stay chewy and fudgy. This meringue is a little different because it uses brown sugar instead of all granulated sugar. That gives the meringue a slight toffee flavor, which is accentuated as it bakes and caramelizes in the oven. 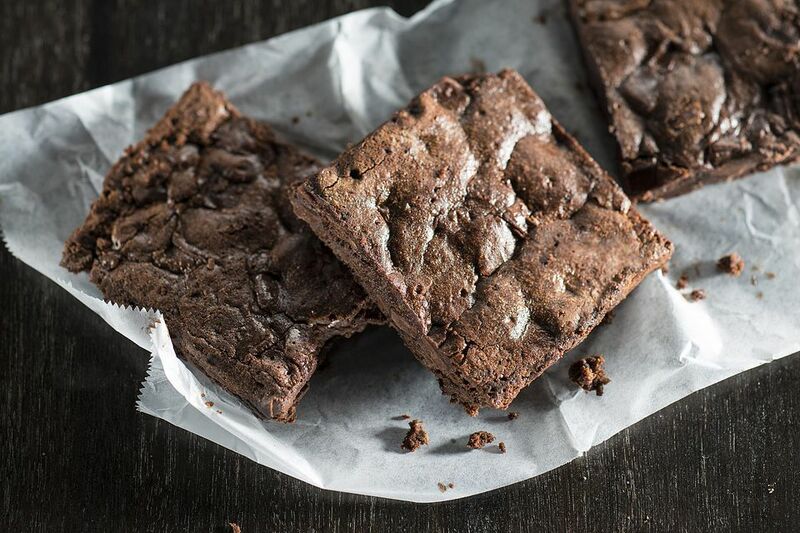 These brownies are ideal for a cookie tray or for a platter of holiday cookies and bars. Enjoy every luscious bite. 1. Preheat the oven to 350°F. Spray a 13" x 9" baking pan with a nonstick baking spray containing flour and set aside. 2. In a large bowl, combine the brownie mix with the oil, water, egg, and egg yolks; beat this mixture until combined and blended. Then spread the batter into the prepared pan. Top the brownie batter with the chocolate chips. 3. In ​a medium bowl with clean beaters, beat the egg whites until soft peaks form. Gradually add the sugar and beat well, then add the brown sugar and pinch of salt and beat until the meringue is stiff. Spoon the meringue over the chocolate chips and spread carefully to cover. 4. Bake the brownies for 30 to 40 minutes or until the meringue is set and light brown. Let the brownies cool completely on a wire rack. Cut the brownies just before serving; do not cut them and leave them in the pan or they will dry out. Store the brownies, tightly covered, at room temperature.